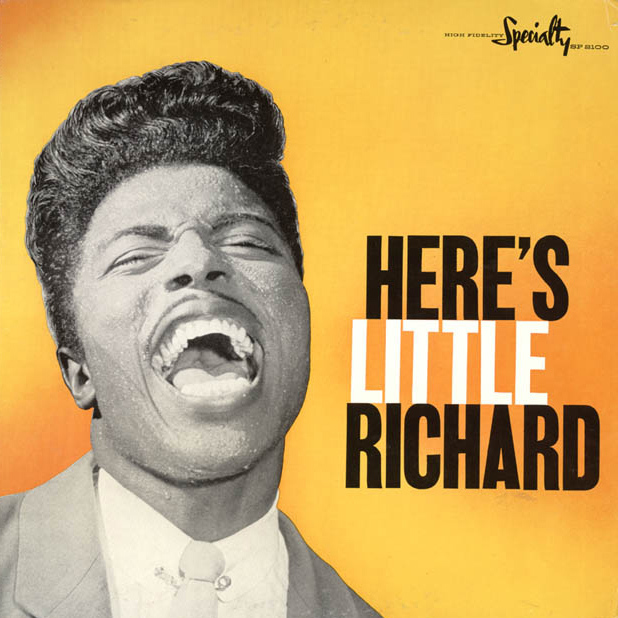 Having cut my musical teeth on the bland offerings of Your Hit Parade, I was definitely ready for something else when rock & roll came along during my teen years. Even so, I wasn't quite ready for Little Richard, and it took me a while to appreciate his raw sound. 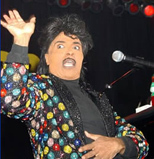 Eventually I came to like his music, especially "Slippin' and Slidin,'" and of course now I recognize him as a powerful influence and innovator. 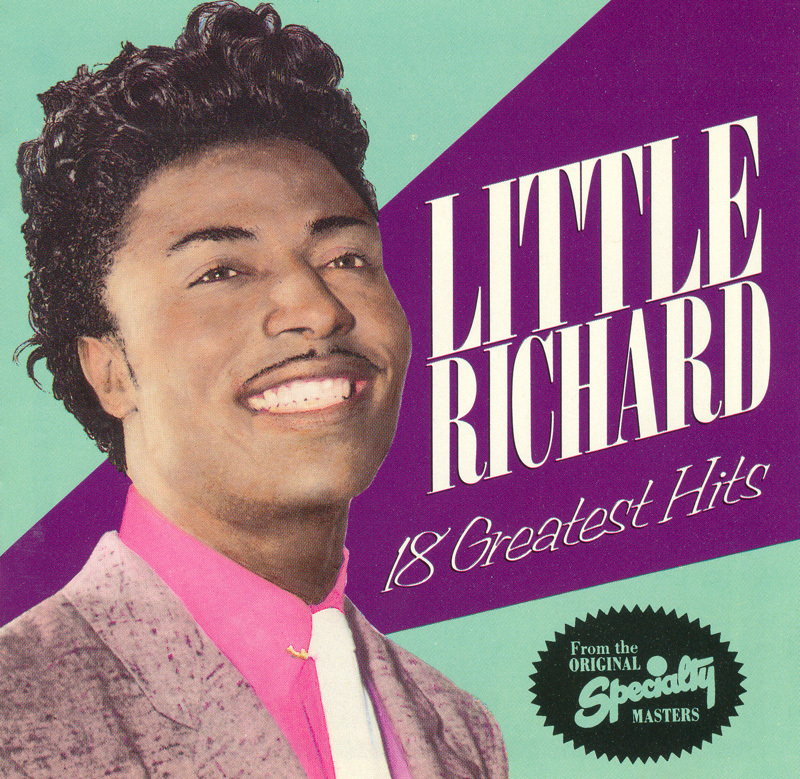 He was born Richard Penniman during the Depression in Macon, Georgia, one of twelve children who grew up in poverty. 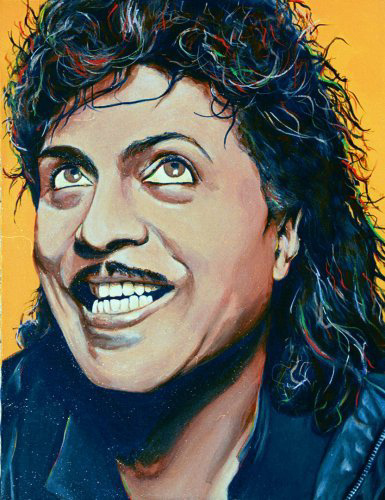 As a youngster, he soaked up music - blues, country, gospel, vaudeville - which was part of the fabric of life in the black community. 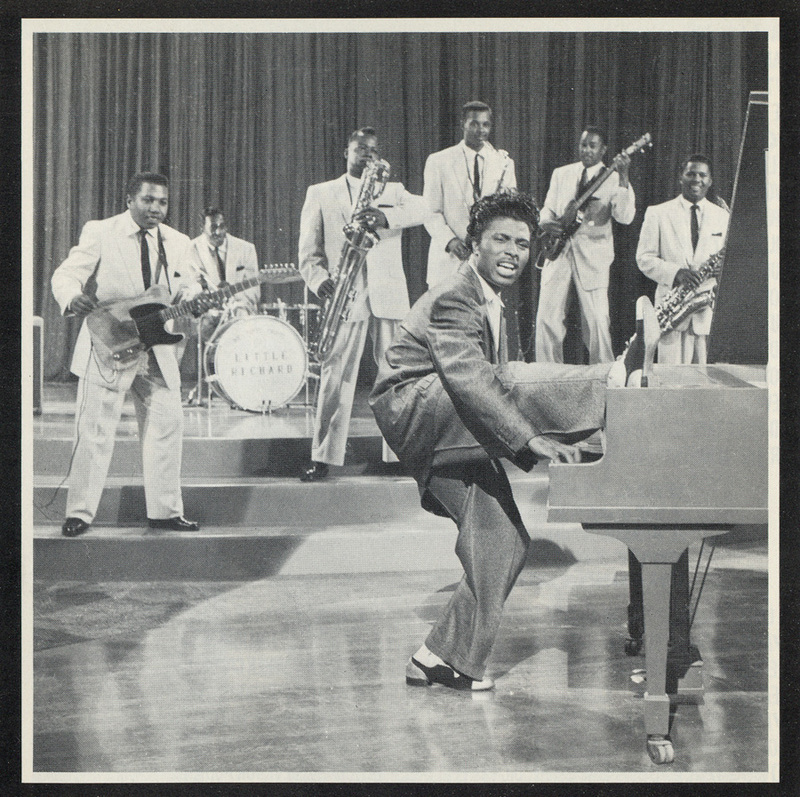 He learned to play piano from an equally flamboyant character named Esquerita, who also recorded rock & roll early on for Capitol Records. 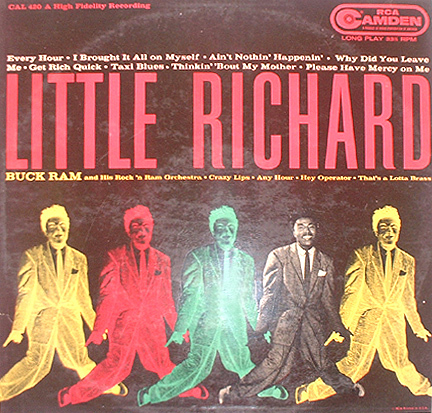 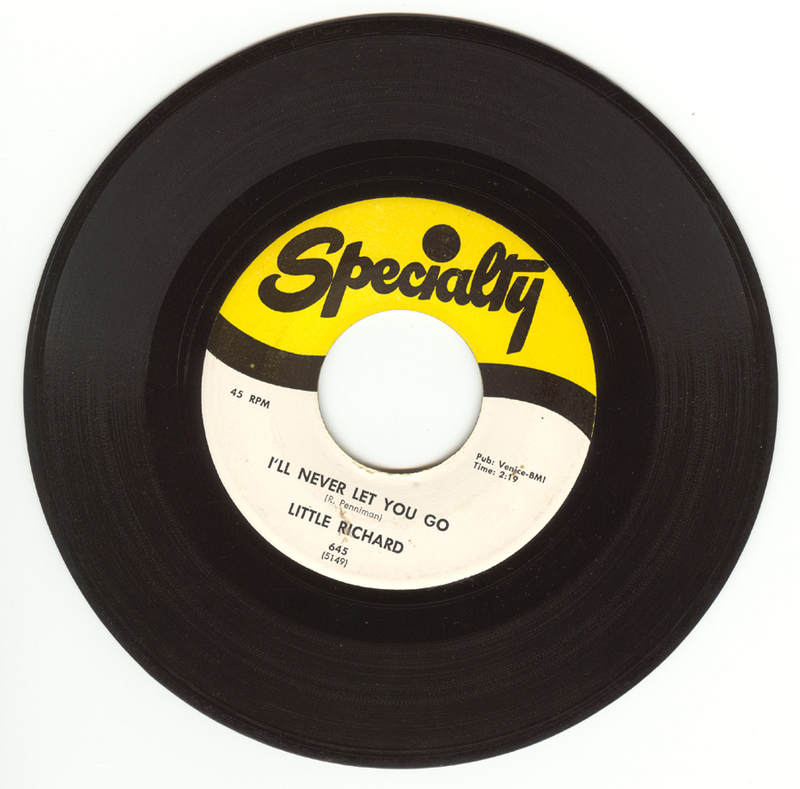 Little Richard first recorded in a bluesy vein in 1951, but it was his tenure at Specialty Records beginning in 1955 where he made his mark with a stunning succession of rock & roll sides over the next several years, including “Rip It Up,” “Slippin’ and Slidin’,” “Lucille,” “Jenny Jenny” “Tutti Frutti,” “Good Golly, Miss Molly,” as well as the top ten hits listed below. 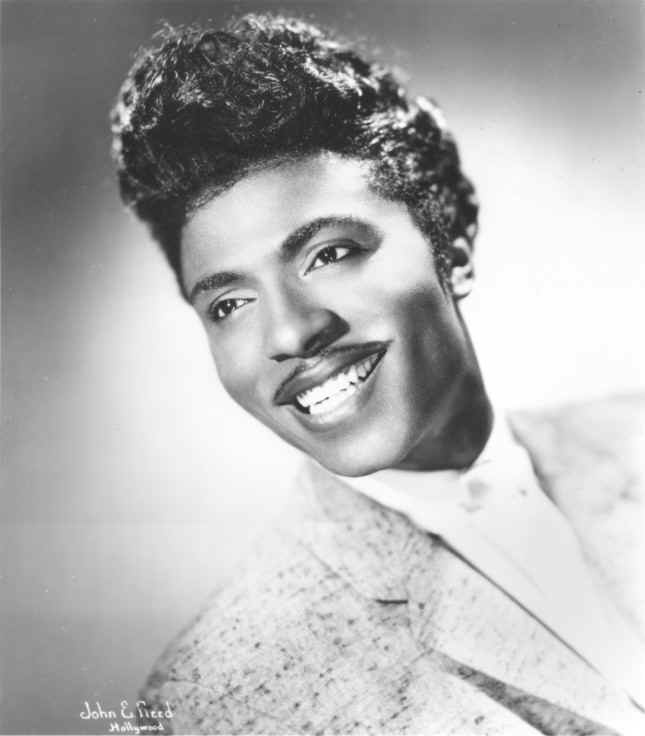 Although he abruptly abandoned rock & roll for the church in 1957, he soon returned to performing, and continues to entertain and amaze newer generations with media appearances, soundtrack and children’s record cameos, the film “Down and Out in Beverly Hills” and even Taco Bell commercials. 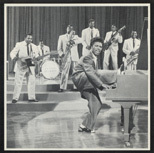 Once upon a time, somewhere in the mid 50s, he was one of the original rock greats, merging the energy of gospel with New Orleans R&B, while pounding the ivories like there was no tomorrow. 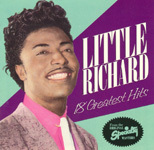 Little Richard's top ten hits:* "Long Tall Sally" (6), "Keep a Knockin'" (8). 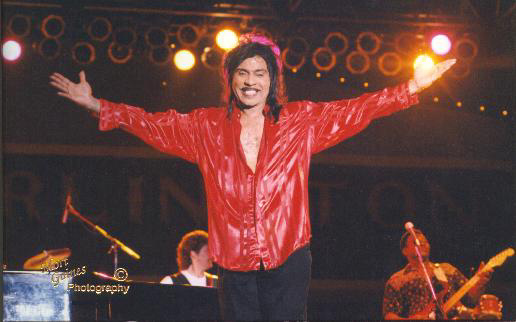 Some material here was adapted from the Rock & Roll Hall of Fame and RockPhiles web sites.